It’s finally getting chilly enough to break out the Crock Pot! 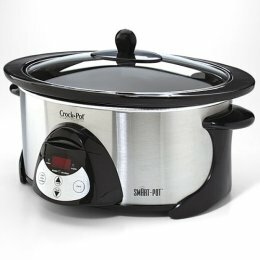 Ok, so I’ve been using it all summer anyway, because I’m totally infatuated with mine, but now it feels appropriate to share recipes and get in the Crock Pot spirit. Seriously, it’s like magic. Just put the ingredients in and it makes itself! For the month of November, we will feature a new Crock Pot recipe every Tuesday. Heat the coconut oil to medium-high heat in a large saucepan and brown the chicken thighs. Add potatoes, carrots, and onions to the Crock Pot and top with browned chicken. In a small bowl, mix the remaining ingredients and pour over the chicken. Cook for 4 ½ hours on high or 8-9 hours on low. Enjoy with a fresh green salad and crusty bread!